Maretron’s Black Box (MBB200C) is a dedicated processing unit that includes Maretron’s N2KView® vessel monitoring and control software. Unlike a PC that allows any software to be loaded, the MBB200C runs only N2KView® software making it extremely stable and dedicated to monitoring and controlling your vessel. 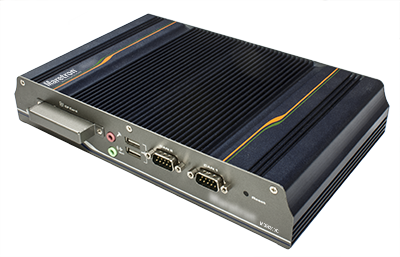 The MBB200C is ruggedized for marine use and includes a solid state disk drive to withstand the pounding associated with waves. And since the MBB200C dissipates less than 25 watts, there is no need for internal cooling fans that are noisy and wear out causing electronics to overheat and fail. 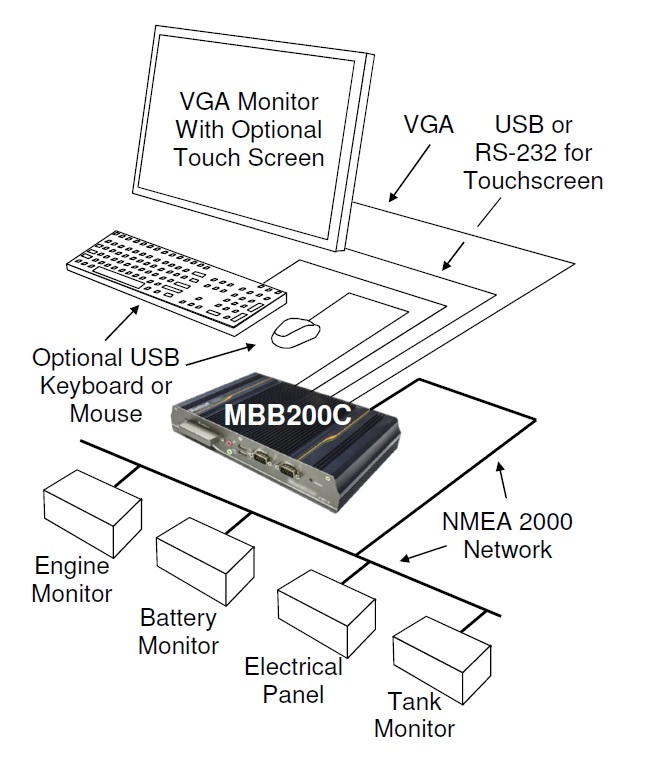 The MBB200C connects to a monitor through a VGA connector and associated touch screen through a USB or serial port connection. Alternatives to controlling the N2KView® software through a touch screen include keyboards, mice, or track balls connected through USB. In addition to the two completely isolated CAN bus connectors (M12) for easy connection to single or redundant NMEA 2000® networks, the MBB200C has an Ethernet port for connecting Internet Protocol (IP) cameras for viewing within the N2KView® software. Of course you get the same flexibility using Maretron’s N2KView® software from the MBB200C as you would running the software on a PC, which includes the ability to configure as many screens as you want with exactly the information you want to see. Plus you get free upgrades to the software as improvements and new features are added. One cable is provided with the purchase of the MBB200C.